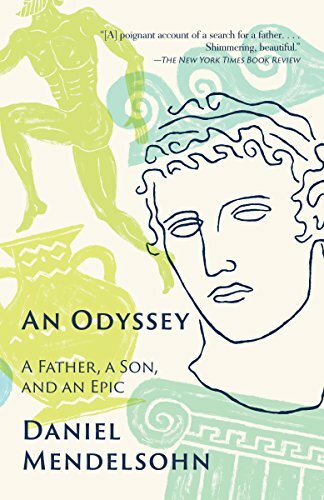 When 81-year-old Jay Mendelsohn enrolls in his son’s Odyssey class at Bard College, Classics Professor Daniel Mendelsohn finds himself in the difficult simultaneous roles of son, student and teacher. His retelling of the adventures that ensue both in the classroom and subsequently on a cruise ship retracing the itinerary of the legendary voyage comes to echo the Odyssey itself, with its timeless themes of deception and recognition, marriage and children, the pleasures of travel and the meaning of home. Rich with literary and emotional insight, An Odyssey is the renowned author-scholar’s journey to understanding his difficult father as well as educating his students and the triumphant entwining of personal narrative and literary exploration. On Friday. November 9, Professor Mendelsohn will speak on his book An Odyssey at Spoken Interludes, Westchester’s highly popular literary salon, held at Riverview, 1 Warburton Avenue, Hastings-On-Hudson. The $30 cost per person (cash only) covers a complete Indian buffet from 6 – 7:30 pm; readings with three noted authors, including Q’s and A’s, from 7:30 – 8:30 pm; book signing (books are available for purchase at the dinner) from 8:30 – 9:00 pm. Early reservations are essential; RSVP asap to Rita Kaplan (914)472-9628 or Myrna Silverman (914)769-5389. It is our intention to reserve a table for our book club providing that we have enough people who sign up for the program. We will try to organize car pooling for those who can not drive at night. Our book for the November book club meeting, on November 15, will be Istanbul: A Tale of Three Cities by Bethany Hughes. This is a lengthy – albeit fascinating – book; cover as much of it as you can.